Ocracoke Island is accessible only by air, water or by one of three ferry routes. From the North there is a free ferry from Hatteras. From the South and West you have your choice of the Cedar Island or Swan Quarter ferries, both of which are toll ferries and require advance reservations. 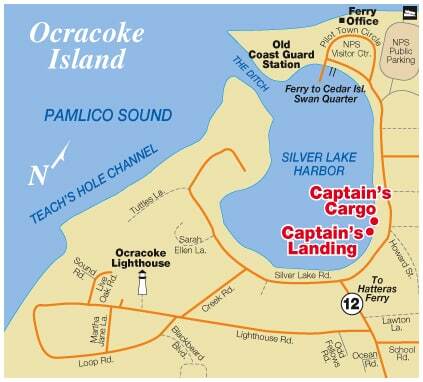 When setting your GPS, make sure that you mark your destination as the ferry terminal you plan to take to Ocracoke. For example, if taking the ferry from Hatteras, mark your destination as Hatteras Ferry Terminal. Coming by private plane? Call from the airstrip and we’ll pick you up.